Surf, sun, soak, repeat. Those are the activities you’ll surely be inspired to pursue after watching this video of the charter yacht Driftwood. As much as the scenery of Fiji is stunning, you may just find yourself exclaiming “I want to try that!” when you see her fleet of adrenaline-pumping watertoys. Part of the Amels 180 Limited Editions range, Driftwood is just shy of two years old. (On a related side note, the builder has just sold the 20th hull in that series, set for delivery in 2020.) Besides offering the alfresco areas buyers expect of a yacht this size, Driftwood puts a beach chic ambiance at guests’ disposal. Soothing tones of sand and creams appear throughout the accommodations for 12 guests, with a few pops of color, thanks to designer Rémi Tessier. As welcoming as that interior is, however, Driftwood brings out the adrenaline junkie in her guests. From PWCs to waterskiis, from surfboards to kiteboards, she has them. She also has stand-up paddleboards and wakeboards. Lest we forget, two healthy-size tenders promise plenty of fun, too. One is Quikwood, her chase boat. Tailor-made for Driftwood, Quikwood measures 62 feet (19 meters) LOA, and makes quick work of taking guests around. The other tender is a 27-foot (8.3-meter) Xtender, no slouch in the speed department, either. Driftwood is spending the winter in a few warm-weather locations. They include the Caribbean, Central and South America, as well as the Bahamas. 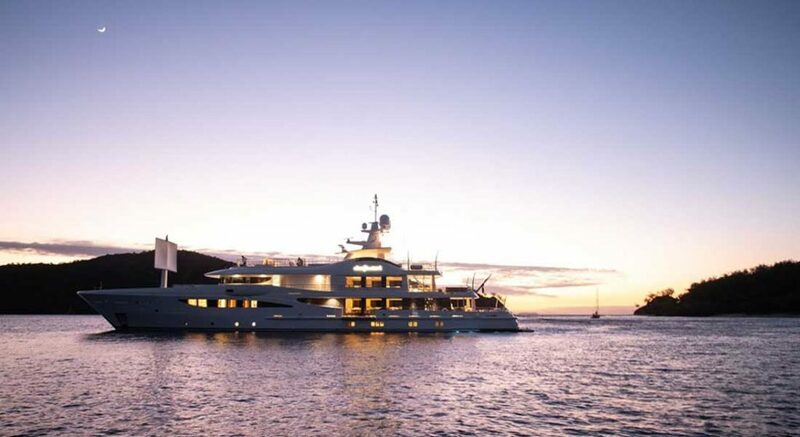 The yacht is available in Central and South America again this summer. Her weekly base rate is €275,000. She’s in the central agency of Y.CO.